Their classification of games doesn't exactly match the classifications made by gamers. Fable and Shenmue are "adventure" games, Sim City represents strategy games, and so on. Both shumps and dungeon crawlers share the "Target" category, because they all revolve around players selecting a target and (generally) pressing a single button. Certain genres bounce around: Doom II is an action game, while Goldeneye is a "target" game. While these generalizations might seem abnormal to some, putting an emphasis on how much games have evolved in forty years shows many of these games in a different light. Want to see if your all-time favorite game made the cut? Here's an alphabetical list of all the games featured in the exhibit. Looking at the list, some of the games chosen are obvious shoo-ins: Mario 3, Metal Gear Solid, and Bioshock, to name a few. Others—Geometry Wars: Retro Evolved 2 and Metroid Prime 2—for instance, are more interesting. Certain series are very well represented: Zelda, Mario, Panzer Dragoon. Though the games of the exhibit have been unveiled, the installation is far from complete. 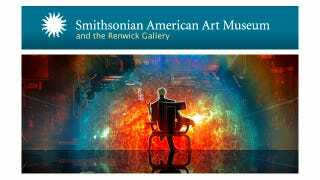 The Smithsonian plans to open "The Art of Video Games" on March 16th, 2012, with the exhibit running from March through September.